Blackberry announced that AT&T will be selling Blackberry Passport and Blackberry Classic starting from 20th February, 2015. The wireless carrier, AT&T declared this Monday that these two latest Blackberry smartphones will be available at att.com and in AT&T retail stores on February 20. Blackberry Passport and Blackberry Classic have been available direct from the company and through Amazon for full price for several months. But the choice of buying from a US career was non-existent till date before AT&T made the announcement. Blackberry had no longer been a desired phone for the business world. May be this new collaboration will help Blackberry for a comeback. Work Wide Blackberry Passport, an AT&T will sell Blackberry at $649.99 without any contract or at $199.99 under a two-year contract and the upgraded and more traditional Blackberry Classic will sell for $419.99 without contract or $49.99 on contract. The 4.5 inch full HD display squat smartphone with unique triple row of physical keys and a touch-enabled QWERTY keyboard is same as the model being sold globally except some cosmetic change. It was redesigned with more rounded corners instead of the sharp edges to make it an AT&T exclusive. It has been built on BlackBerry’s secure BlackBerry 10 OS 10.3.1 operating system and runs on AT&T’s network, the nation’s most reliable 4G LTE network the covers millions of Americans. Blackberry Passport will be available at $649.99 without any contract or at $199.99 under a two-year contract. From 20 Feb, it will be sold for $0 down on an AT&T Next plan at $21.67 per month with AT&T Next 24, $27.09 with AT&T Next 18 or $32.50 per month with AT&T Next 12. The Blackberry Classic is the same model as available elsewhere. BlackBerry’s iconic QWERTY keyboard, trackpad and navigation keys make it easy to communicate quickly and accurately with one hand. 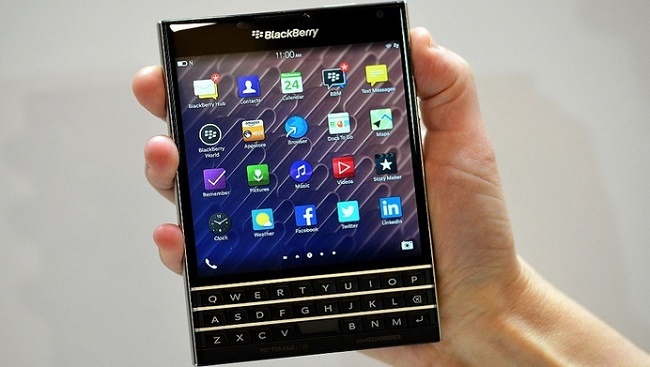 It also comes with the secure BlackBerry 10 OS 10.3.1 operating system. Blackberry Classic has been designed for speed and accuracy. You can get Blackberry Classic for $419.99 without contract or $49.99 on contract. Even it is easy to be purchased for $0 down on an AT&T Next plan at $14 per month with AT&T Next 24, $17.50 per month with Next 18 or $21 per month with AT&T Next 12. It’s expected that the old BlackBerry fans will likely to stick with the traditional Classic. Its familiar design, shape and latest OS made it the most desirable Blackberry smartphone. Other carriers, such as Verizon, have committed to selling the Classic, though they have not yet announced availability.